Selling technology to government is difficult. But Government Technology reports that a group of investors, public IT officials, and others with experience in gov tech gathered at TiECon 2017 in Santa Clara to break down some ways to do it successfully. Some of the advice given to agile firms who want to sell to government: solve real problems and talk to the right people. Also, don’t be afraid to start small instead of aiming first for big, meaty deals. That’s at odds with the traditional way government has approached technology — putting out multi-year requests for proposals encompassing huge systems and all but eliminating smaller companies from the competition — but many at the conference said government is beginning to change its approach. 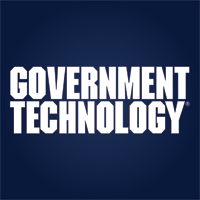 At the federal, state and local levels, government officials are beginning to work in more agile ways that allow for smaller, more iterative projects and short development sprints. Many are also beginning to use pilot projects — some paid, some not — as ways to get a foot in the door. John Bergin, the business technology officer for the U.S. Department of Defense’s CIO, said he often prefers the pilot approach because it gives him a concrete demonstration that a product or service can make an impact.